– A beginner’s guide to blogging – What all new bloggers should know and pay attention to, when starting a blog. – How to choose your blog’s design – second and very important step not only for the newbies but for the older ones too. – How to drive traffic to you blog – Says it all in the title. Click to read more. 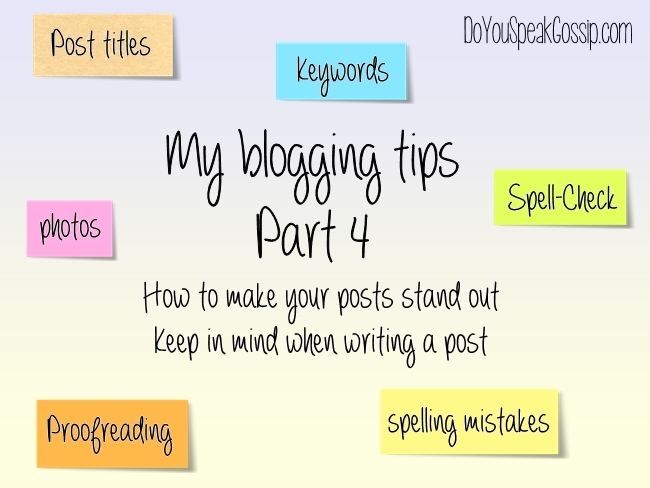 – How to make your posts stand out and what you should keep in mind when writing a post. 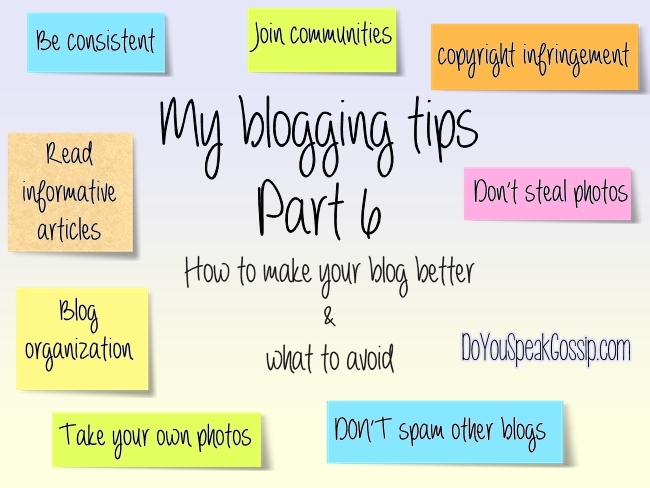 – How to make your blog better and what you should avoid doing. 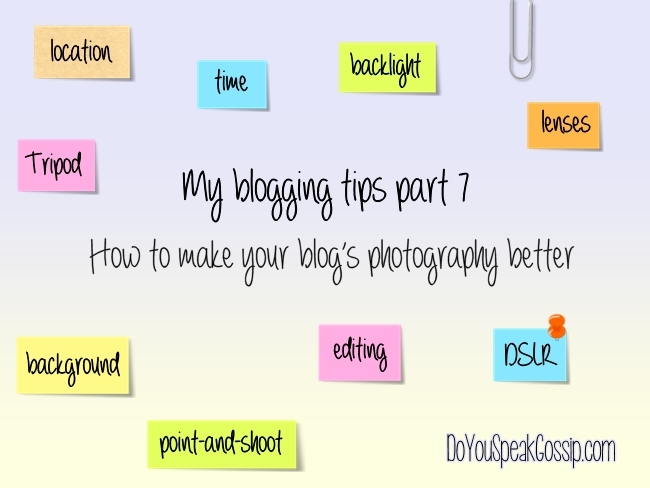 – How to make your blog’s photography better. Tips that have worked for me, and more tips from the experts. 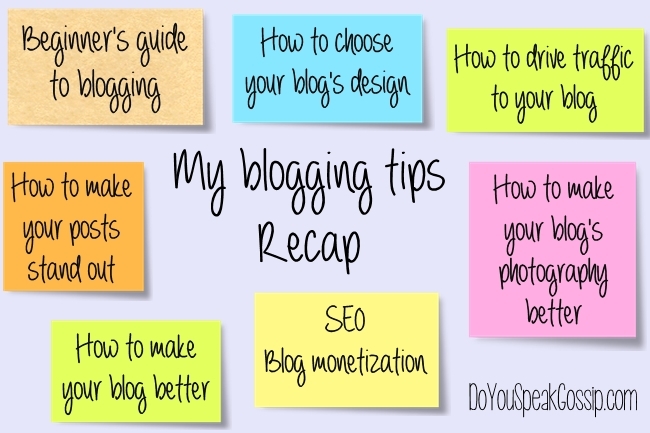 Read these carefully if you want to make blogging more of a profession than a hobby. If you need to bookmark them, click here for our Blogging category. Αν θέλετε να διαβάσετε το κείμενο στα ελληνικά, πατήστε εκεί που λέει Language: Greek. I keep on coming and going from your blog 🙂 to read the amazing articles! I really loved this part of your blog – well, every part, but this is s generous, sharing your knowledge to help people who want to make their (our!) blog better! As I told you, I am evolving little by little (we all are! Though you know I am very slow!) and I have decided some things for the blog. At first I thought not so many people would be interested in my few sentences (cause you know i don’t write much there), but I got people asking me to post details of my clothes (that I find too quirky for anybody in general :), or vegetarian recipes, or now even a request for me to post more consistently (not once a week). I am really amazed – and definitely I have uderestimated myself! All the progress thank to you! You are really fantastic! Who ever says the contrary is crazy! Makia! I'm so glad that everyone found those articles interesting, because really, this is exactly why I wrote them. 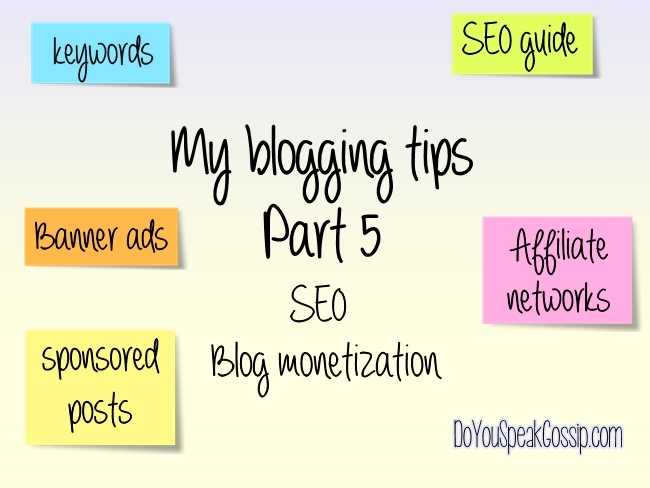 To help other bloggers like me, and spread the knowledge I've gathered so far. I'm also glad to hear, that you made some decisions about your blog. You've definitely underestimated it, I agree! You're really good at this! But I'm not pressuring you, into writing more often, because I know your time is limited. You have so many things on your mind right now. Σε περιμένω κι εγώ στο blog μου για ανταλλαγή απόψεων. Χαίρομαι πάρα πολύ που σε βοήθησαν τα άρθρα μου και οι συμβουλές μου. Σε ευχαριστώ για το υπέροχο σχόλιο!